You may be sick of hearing about the Muskrat by now. For the last year it has dominated the political discourse and is likely to continue to cast a shadow for some time (may as well resign yourself to that). This most recent round of Muskrat folly centers on a court case by Hydro Quebec and a further twist in the tale from Nova Scotia. Good theater, but it's hard not to wonder if the curtain should have already come down. 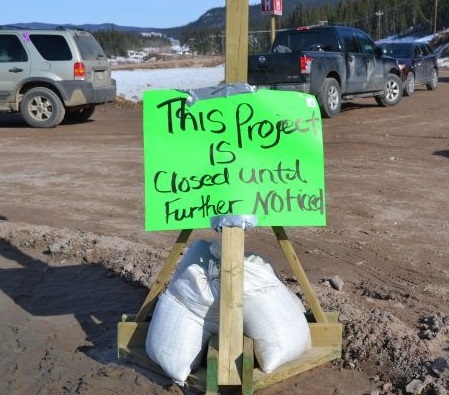 What would have been the outcome had the province's public utilities board been allowed to do its job and review the project before it was sanctioned? What outcome had government listened to voices of protest and opposition? What need is there for such intransigence on the part of government if pitfalls have apparently gone unidentified? These are the most troubling questions, beyond even specific concerns raised from various perspectives. No matter how legitimate concerns are explained away, it is increasingly difficult for people to be confident. The evolution of the project has produced a bottoming out of popular support for the government and the premier, creating an atmosphere where many feel it is no longer possible to simply believe. This sets the stage for a reckoning, one that has the potential to sweep government from office and bring Muskrat to a halt, which even for some of the project's soft supporters would now come as a welcome relief. Otherwise, you have to practice ever more subtle feats of logical gymnastics in order to say, I support the Muskrat. Because now, when people say they support Muskrat, what they really mean is that they believe in the technical capacity of hydro dams to produce electricity, for who can speak to other outcomes of a project whose architects appear unaware of so many variables. It begins to look as though without a reckoning, if the government is allowed to continue the project and serve out its mandate, we should prepare to get what they deserve.